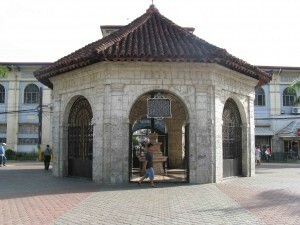 (Magallanes St., Cebu City)-Planted in April 21, 1521 by Ferdinand Magellan, this marks the spot where the first Christian Filipinos, Rajah Humabon and queen Juana and about 400 followers were baptized by Fr. Pedro Valderama. In 1565 to 1740, the Augustinian priests built an open shrine for the cross, but the natives began to take chips from the cross believing it had miraculous power. So a kiosk-like structure was built to protect the cross from total destruction. To protect it further, a hollow cross of tindalo wood was made to encase the original cross which still stands today. 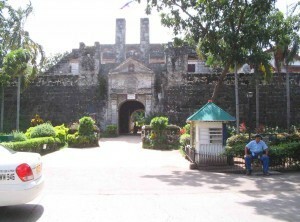 (Pier Area, Cebu City) – the smallest and oldest tri-bastion fort in the country, this served as the nucleus of the first Spanish settlement in the Philippines. It has a total inside area of 2,025 square meters. The walls are 20 feet high , 8 feet thick and the towers are 30 feet high from the ground level. 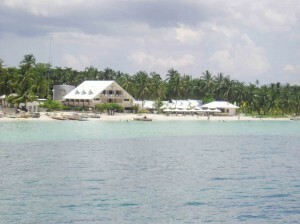 Work was started on May 8, 1565 with MIGUEL LOPEZ DE LEGAZPI breaking the ground. 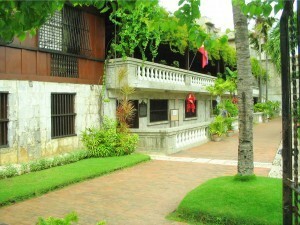 During the American Regime, it became an American Warwick Barracks which was later converted into classrooms where the Cebuanos received formal education. During World War II, it served as fortification for the occuping Japanese soldiers. 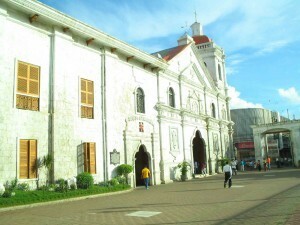 (Osmena Blvd., Cebu City) – this church was built by Miguel Lopez de Legazpi and Fr. Andres Urdaneta on the site where the image of Santo Nino was found in 1565. The first structure of the church was, however, destroyed by fire on November 1, 1568. It was rebuilt in 1602 under the administration of Juan Albaran and was rehabilitated in 1740. 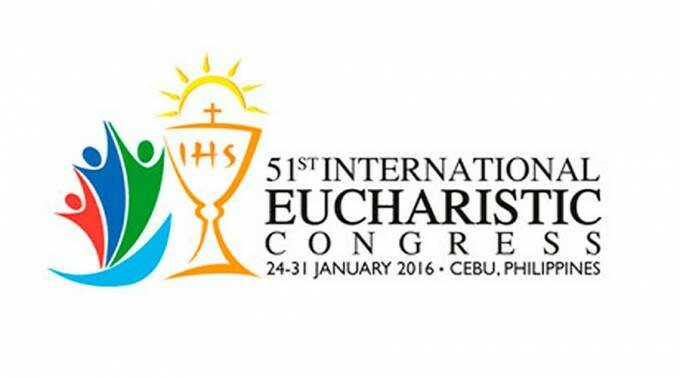 On May 1965, the church was conferred the title of Basilica Minor del Santo Nino by Cardinal Antonuitte, Papal Legate during the Fourth Centennial celebration of the Christianization of Cebu. 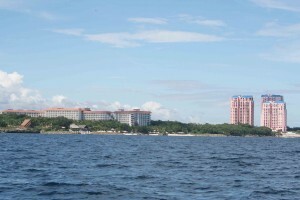 Punta Engano, Lapu-lapu City, Cebu) – Site where the battle between Mactan Island chieftain Lapulapu and the foreign aggressor Ferdinand Magellan occurred in April 27, 1521. It depicts the hero holding a bolo in one hand and a pestle on the other. Said weapons were believed to have been used during his combat with Magellan. 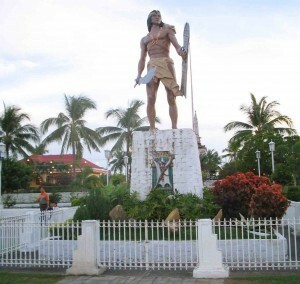 This monument stands as a reminder of Filipino bravery.